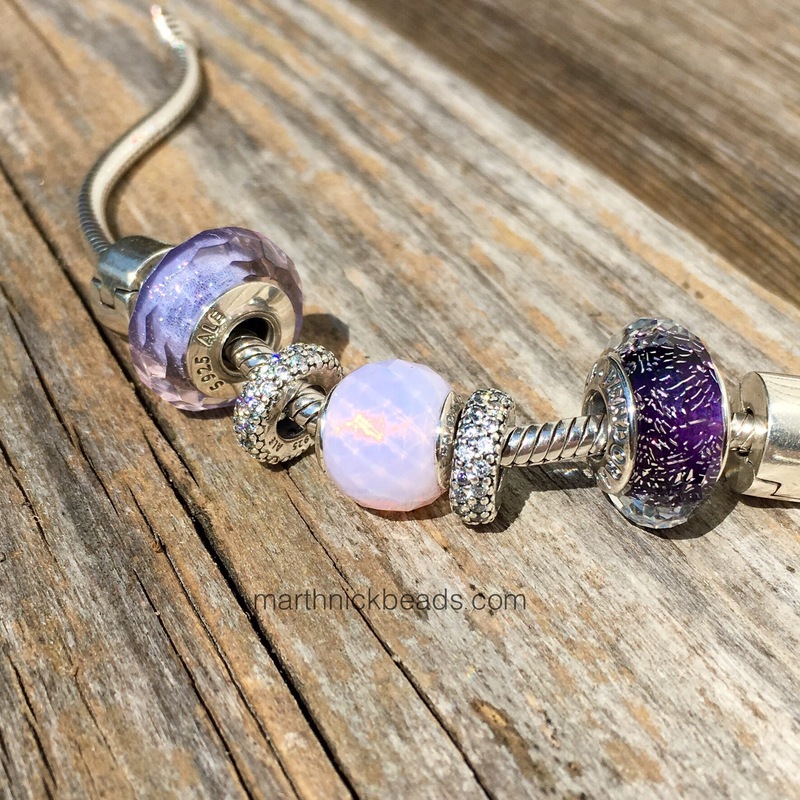 I wasn’t planning to do a blog post today and yes, I need more beads like a hole in the head (my budget for the September Bead Bash is now one bead, ha ha!) 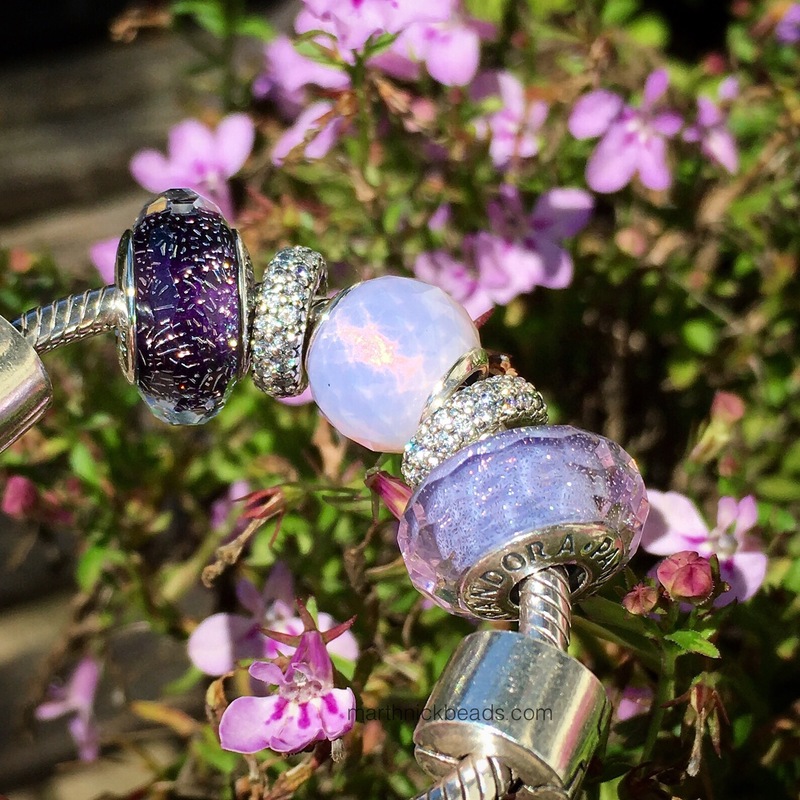 but once a season I’ll buy one or two Pandora beads. The kids were out golfing with their grandpa and uncle so I took the opportunity to head to the mall. 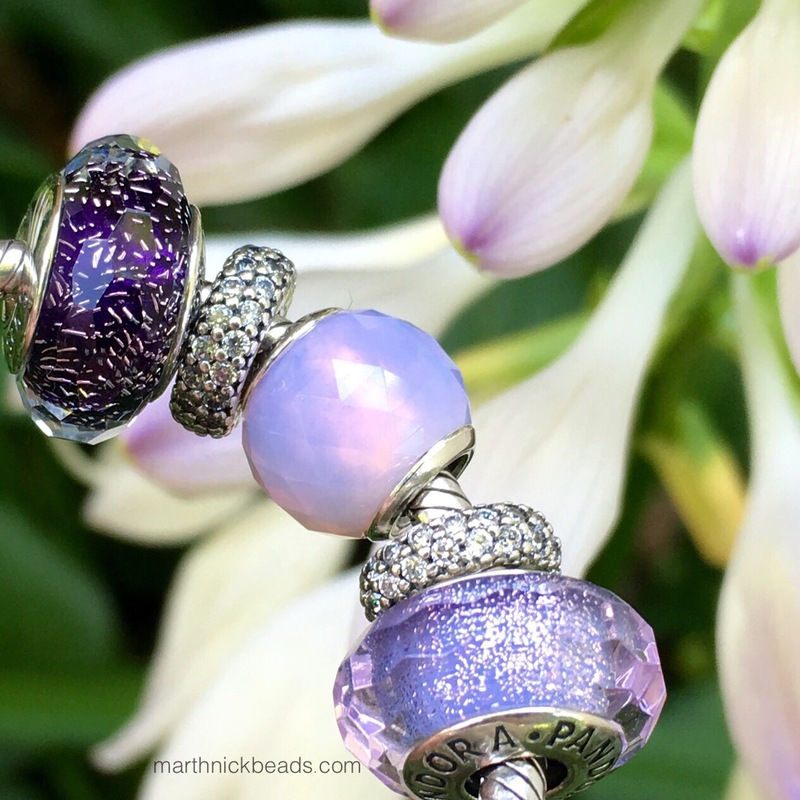 I really don’t have many Pandora beads to put them with, so I just took a few photos for fun. The pink Geometric Facets is what really caught my eye and I will buy another one later this year. It’s super pretty! The other bead is the Dark Purple Shimmer and I like it but not as much as the Light Purple Shimmer. Here’s a macro shot. I gather the little shards are bits of sterling silver! It really is a deep, royal purple. I put it with my Lilac True Beadz to see how it would look. 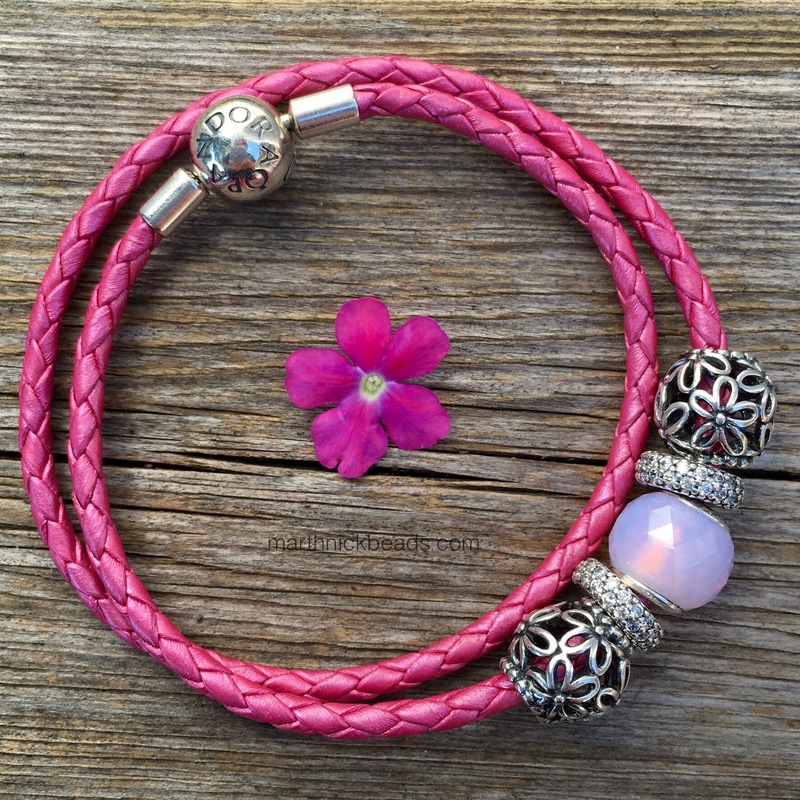 I think the pink Geometric Facets looks great on the Honeysuckle Pink Leather Bracelet. I’m not sure about the Dark Purple Shimmer on the leather. Opinions are welcome! Here they are in the sun. It’s hard to capture beads in the direct sunlight, but I like the flash of light on the Geometric Facets. Here’s one last look. Are these a must have for anyone or are you going to pass? I have all these beads, but now I find them too shiny!!! I’m waiting something new from pandora. Looks like next collection will gonna do this! I really hope! There is definitely a lot of sparkle this fall, Carla! Did you see the little owls? They are cute and just silver…no sparkle! Hi Martha! I am very impressed with the Shimmer Muranos. 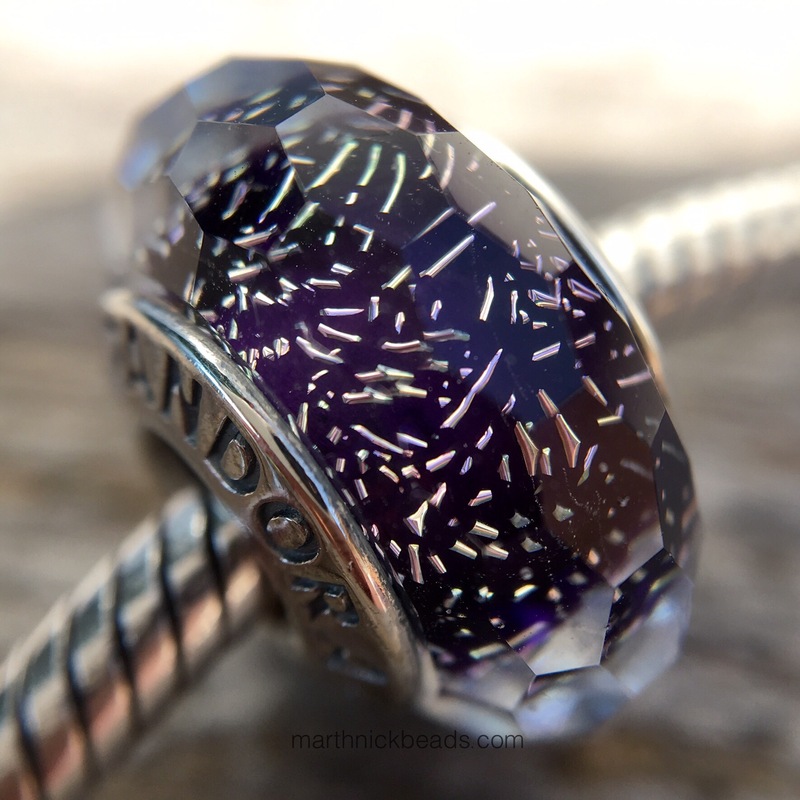 Pandora has done a wonderful job with their recent muranos. I only have the Teal Shimmer so far which is my favorite! I love your Lavender Shimmer and I would like to get that one eventually too! However, the bead budget can only stretch so far! 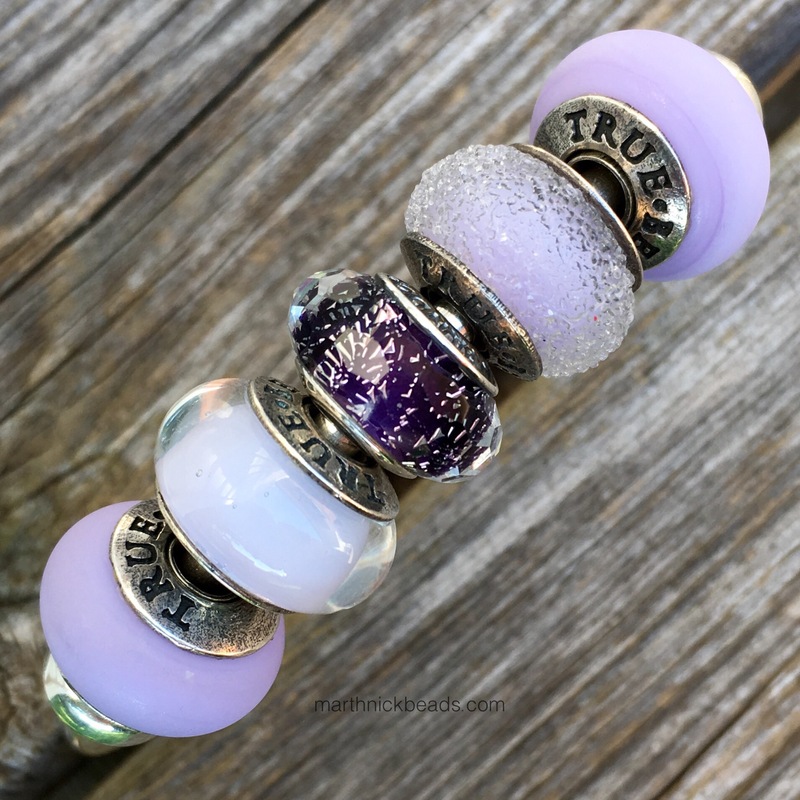 Since I definitely want a pair of the Blue Star muranos coming out with the winter collection, (and a few other celestial pieces as well), I really need to restrain myself with Pandora (at least until the promo in September)! 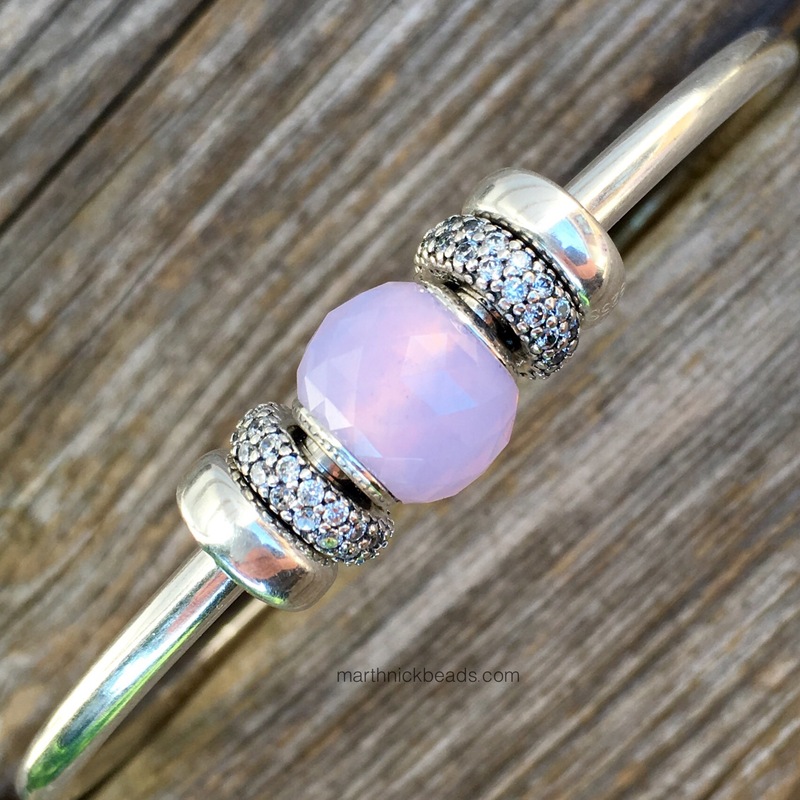 I love Pandora, but their charms have become so pricey! 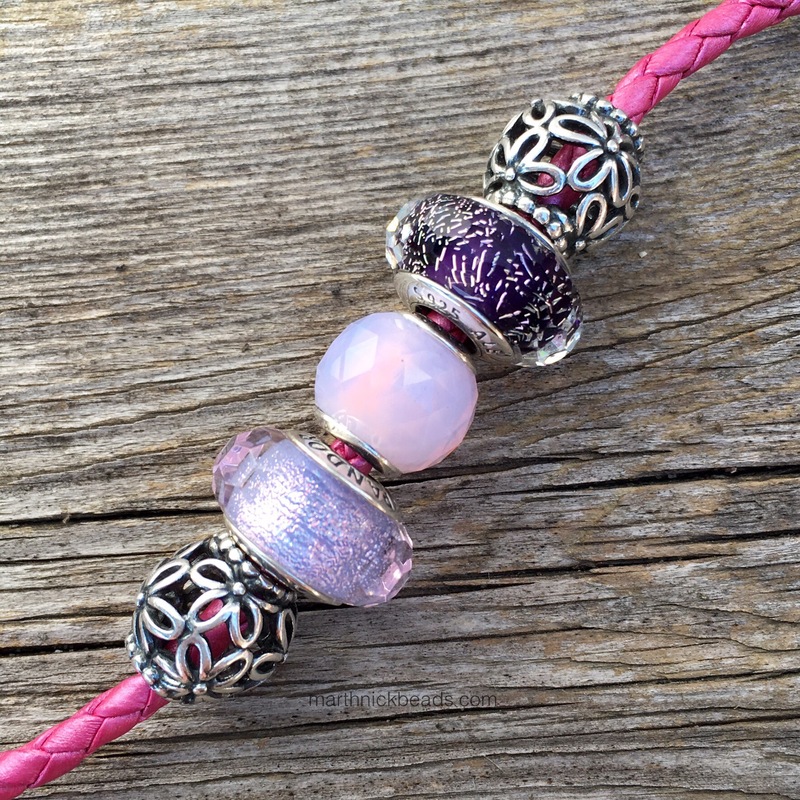 Trollbeads has such an awesome variety of glass beads and at a lower price point. My focus has been more on buying Trollbeads lately. I have a lot of Pandora charms after 6 years of collecting, so I am definitely becoming more selective with my choices. I am not a fan of all the pave, and unfortunately, they are continuing in that direction.